In my early twenties, I could deadlift almost twice my bodyweight, but I couldn’t even run one mile. My weak link was exposed when I attended a personal trainer workshop that included a barrage of fitness tests, one of which was a 1.5 mile run. Even though I didn’t finish last, it was a bit embarrassing for me. The experience prompted me to shift my focus from strength and hypertrophy to working on overall fitness. 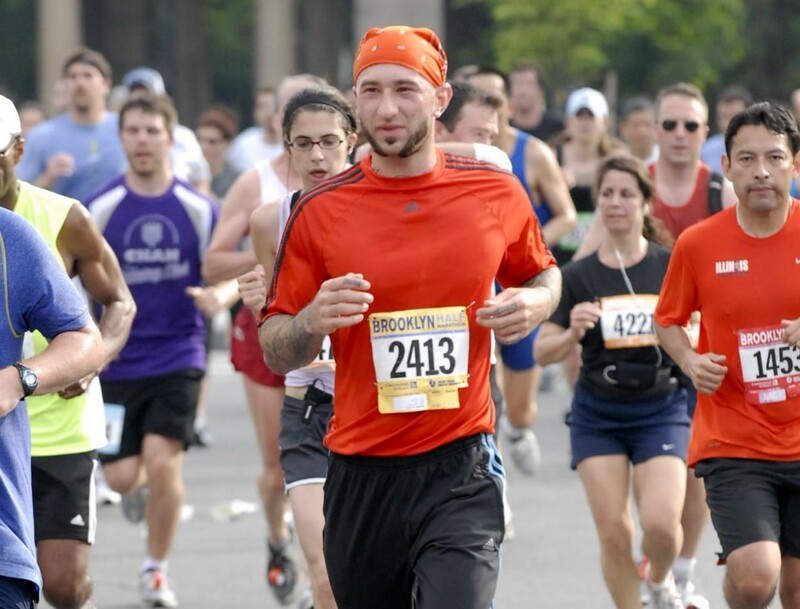 I started running and practicing yoga and in 2009, I ran the NYC Marathon. The spectrum for endurance sports is quite large and it is constantly increasing. When I first heard of the Ironman, I couldn’t conceive of how that was even possible! I now know many people who’ve finished Ironmans (yes, regular people just like you and me!). There’s even a DOUBLE Ironman for those rare individuals who think 140.6 miles just isn’t enough. I’m not proposing that we all go out and start competing in triathlons, but developing your cardio conditioning can make everyday activities easier and more enjoyable. I’ve also known a few good runners who couldn’t even ride a bike, so skill specificity has a lot to do with it. You get better at what you practice; it’s really that simple. Wanna be a good runner? Run! One more thing, I’m not talking about running on a treadmill or riding a stationary bike. If you want to truly test your cardio, don’t use machines! For the swim, feel free to use a pool. Make sure to check out part three of this series for information on assessing your flexibility. Well, I just ran my first ever event, a 5K, a couple of weeks ago in 29:01 (a pace of 9:20). Not very fast by true athletic standards, but it was good enough for me to take 1st place in my age division (50-59). It was interesting for me to compare myself to the different age divisions. I would have been in 2nd place in the 40-49 division and 4th place in the 30-39 year old group. Astoundingly enough, I would have been back in 1st place with the 20-29 year olds! They were the slowest group over-all. (Except for the 60+ groups.) I discussed this with some of the other runners, and they were not the least bit surprised. I guess partying is a much bigger priority than fitness in the 20’s. It was the teens who blew everyone away. In addition, there was a scrawny little *seven* year old girl who ran it in 28:06! I don’t know my times for the other two activities. I bike a lot for transportation so I have no desire to do it for sport, but I assume I would pass that test. Never swim. The pool at our Y is half-chlorine, and my eyes burn just from walking past it. Congrats on your first, race! I have also found that the best runners are usually in their 30’s. Thanks, Magnus. I agree that continually learning new things is a key part of being healthy and happy. Sorry, If I knew how to add my picture to profile – I would! I think you just need to have a profile with Disqus to upload one. friends. I had join once same event together with my friends. They say to lose moobs fast the best way to do is have a rigid planning on how you can possibly do it and I think this corner gave us enough idea about that. Good to know that I could swim fast enough for a triathlon… If I were able to maintain my 50m speed over twenty minutes 🙁 at least I can easily beat the other two standards even though I’m mainly doing strength training with a few hill sprints here and there.